Captain Marvel is preparing for takeoff. 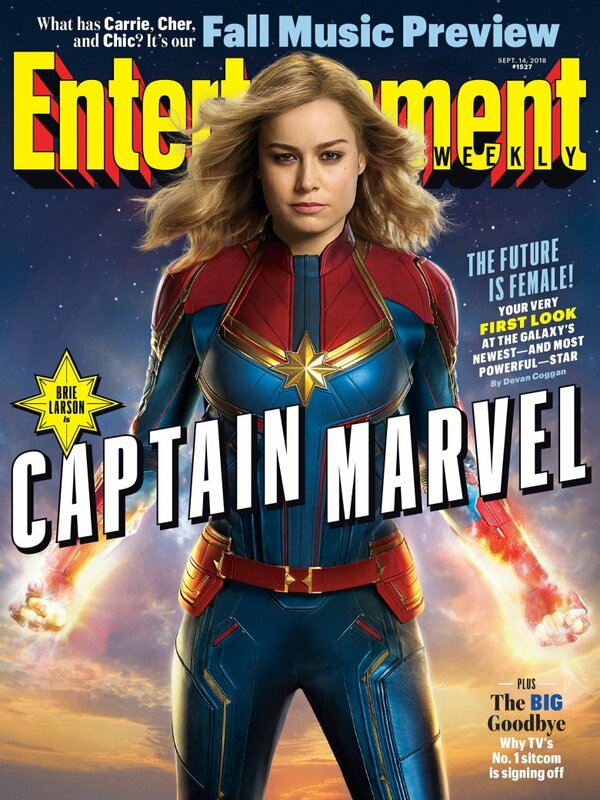 After months of set leaks, merch images, and fan photoshops, Marvel Studios has finally unveiled a first official look at Academy Award-winner Brie Larson as the red, blue, and gold-suited Carol Danvers, with the human-Kree hybrid pilot gracing the cover of this week's Entertainment Weekly. Check it out below. 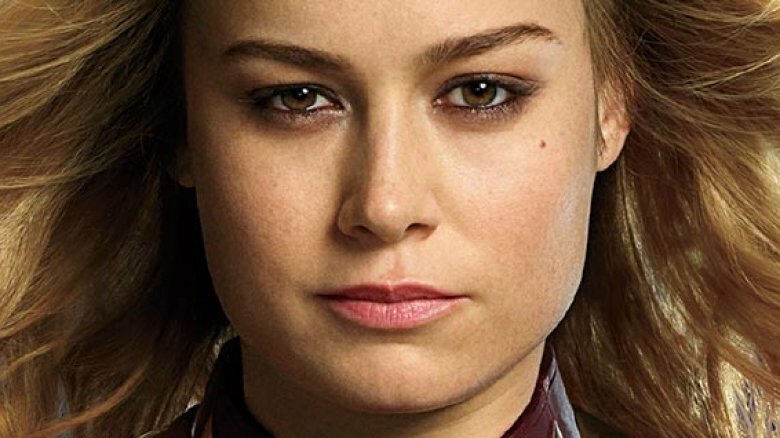 The familiar costume is the one fans have been waiting to see for months, since the very first leaked images from the film showed Carol in an unfamiliar, green Kree suit. But this, dear reader, is the look that we've all been waiting for. Please mark the relevant boxes on your Movie Hype Bingo Card. It is now officially time to begin anticipating the Captain's combat mohawk. Larson recently wrapped filming on the movie, which is set to be the 21st entry in the Marvel Cinematic Universe. The new movie, a prequel set in the 1990s, is coming out just months before the Infinity War story comes to an end with the fourth Avengers adventure next year. On top of the triumphant cover shot, Entertainment Weekly also released ten more official promo images from the movie, showing the first glimpses of Lee Pace's Ronan the Accuser, returned to life after his death in Guardians of the Galaxy thanks to the magic of the prequel. Also in the mix is Jude Law in costume as a green-suited Mar-Vell, as well as some first looks at the Skrull and Kree alien races, whose societies and major characters are all-but-certain to be a fixture in the MCU post-Thanos. It's no trailer, sure — but these pics will do for now. 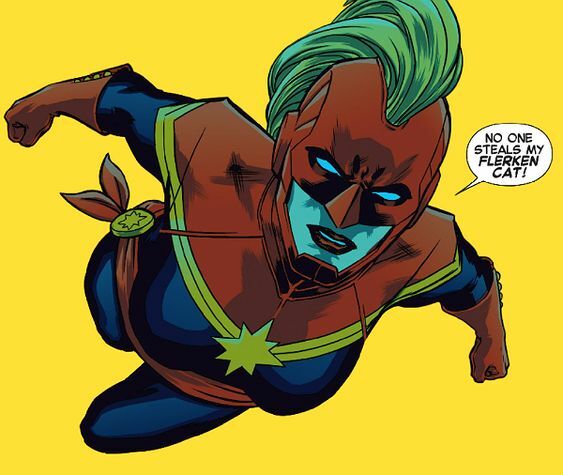 Directed by Anna Boden and Ryan Fleck, Captain Marvel will be out in theaters on March 8, 2019.